My cat is awesome. She’s independent, has her own interests and seems to genuinely enjoy my company. Sometimes I question the ethics of keeping a pet, however. Am I just trapping this lovely little furball inside a home and city that is unlike anything her species is designed to inhabit? Cats are unlike any other domesticated animal. Dogs for instance, have a pack mentality to their social hierarchy. Their human owner simply replaces the role of the pack’s “alpha.” The dog isn’t so much domesticated as they are a member of a pack that is run by humans. It seems much more natural for them. Other animals we keep as pets are accepting of confined spaces, such as a pen or being kept on a leash. However, if you put a cat in a confined space or on a leash, their first and only inclination is to try and get free. Upon domestication, dogs were trained to fetch and perform useful tasks. However, you can’t train a cat to do anything they don’t want to do. Other domesticated animals, such as farm animals, provide something useful, such as milk, eggs or wool. Cats, on the other hand, just seem to hang around, not providing anything and seemingly uninterested in doing so. How exactly did they ever become our pets? How did cats end up living with us, anyway? Studies have shown that compared to domestic cats, feral cats live a much shorter lifespan. For years it was believed the ancient Egyptians were the first to domesticate cats some 4,000 years ago. The remains of a cat and human buried alongside each other in Cyprus is believed to be from 9,500 years ago, indicating that our interspecies arrangement could go as far back as then. No one knows for sure, but it seems likely our relationship with cats began when we discovered they are great at keeping rats and rodents away. It seems that cats began to split off from their wilder cousins around the time humans began to develop agriculture. Cats would eat the rodents which threatened the crops and farmers would put out more food to encourage them to keep coming back. Over time, the usefulness of cats eating rodents proved helpful for other tasks, such as guarding Buddhist temples in Asia. They began to rely on us for additional food and we benefited from having fewer rodents around — an interspecies relationship that has been ongoing for thousands of years. Even after the rodent population ceased to be a threat, we kept them around for more intangible reasons. We grew to like them, in other words. 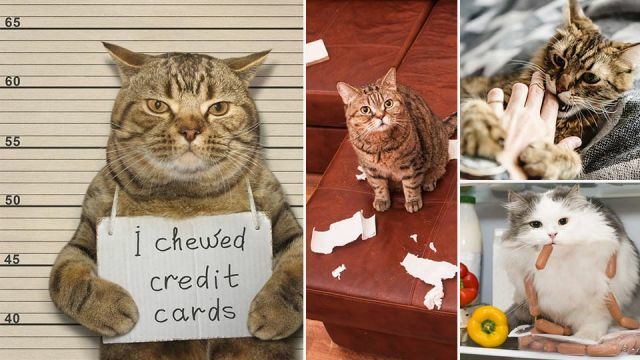 Is it ethical to keep cats as pets? The cats we know today are the descendants of those who chose to keep coming back to the farms for rodents and human food. Over time, this population of cats became smaller, unaccustomed to life in the wild and infatuated with laser pens. They simply could not go back to being wild cats if we were to up and disappear. To put this in perspective, the average lifespan of a feral cat is considered to be only two to three years. This is in comparison to domesticated cats, who live for an average of 15 years. There is some debate regarding how long “outdoor” domesticated cats live for. These cats are generally thought to have a shorter lifespan than indoor cats, but the variables are great. 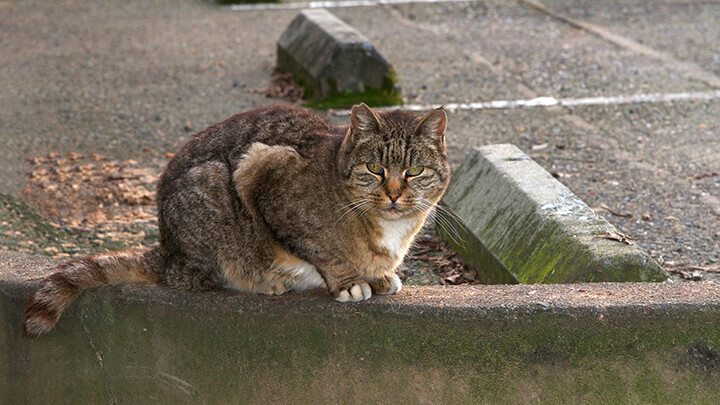 The city in which the cat is roaming, the number of other cats in the area and numerous other factors play a role in determining how long outdoor cats live. In general, however, they don’t live as long as indoor cats do. While there is a romantic notion of a feral or stray cat having freedom, it is a harsh freedom they have to endure. This version of freedom involves hunger, disease, conflict with other cats and an early death. Domestication may be a little boring from time to time, but the safety, nutrition and comfort it provides is unmatched. The life you are providing for your pet cat is one of comfort and longevity — there is no reason to feel conflicted about it. It is also important to remember that our relationship with domestic cats developed thousands of years ago, with the cats choosing to be a part of it. The ancestors of today’s domestic cats kept coming back to where there was food and chose to stay rather than seeking a more adventurous life in the wild. 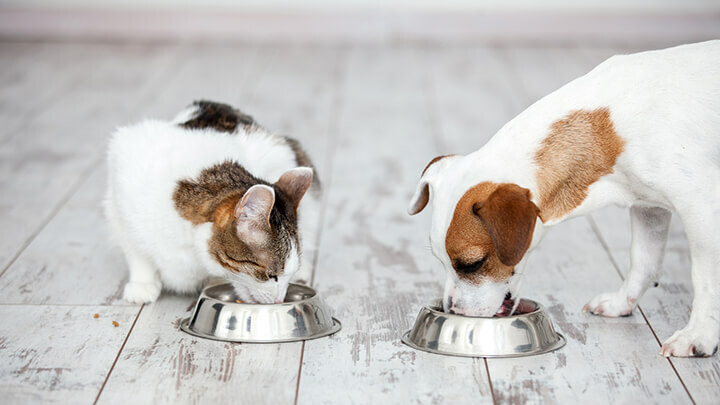 Researchers have found that cats and dogs view humans differently. Dogs understand humans aren’t dogs. Cats see humans as just big clumsy cats. According to John Bradshaw, author of the book “Cat Sense,” dogs adjust their behavior based on if they are interacting with dogs or humans. Cats, on the other hand, treat us like non-hostile cats, and sometimes as their new mother cat, even if there is not much of a resemblance. Cats also see us as clumsy, since we will trip over them and other cats won’t do that. Some experts believe that cats are also concerned for our well-being since we don’t seem to hunt. This may explain why they sometimes “gift” their owner with a dead bird. Other experts believe the cat is just bringing their owner a gift. Either way, it is a nice, albeit disgusting, gesture on their part. To cats, we are their equals (or less), even if we are the ones providing all the food (minus the dead birds). Dogs understand that we are different from them and that we are the ones in charge. It is an entirely different dynamic. It isn’t so much that we have domesticated cats as it is we’ve developed a cohabitation agreement, even if we no longer need their rodent-controlling abilities. Many people choose to go with a cat-breeder for their new pet so they are able to determine the right breed for them, and to make sure there are no health problems. However, animal advocates will recommend adopting an animal from a shelter. The life for a poor animal inside a shelter is harsh. They are confined to a small cage and most shelters will euthanize animals if they are not adopted after a certain amount of time. Saving an animal from that life is a wonderful thing to do. It just may strengthen the bond you share with your new friend. The American Society for the Prevention of Cruelty to Animals (ASPCA) has a list of shelters you can visit here. Another list of shelters, via Petfinder, can be found here. You also do not need to fully adopt an animal to play an important role in their well-being. Fostering an animal while the shelter looks for a permanent home is a great way to prevent them from being locked in a small cage while they wait. Volunteering at a local shelter is also a great way to have fun playing with animals for those who are unable to commit to having a permanent buddy. Cats have been in this with us for thousands of years. They aren’t really our pets — they are our partners and our friends. Are you ready to adopt one yet? Hey Buddy!, I found this information for you: "Is It Ethical To Keep Cats As Pets? What The Experts Say". Here is the website link: https://www.thealternativedaily.com/are-cats-really-our-pets. Thank you.